I've been lucky enough to get some fabulous guest bloggers to take over for a few days. So let's kick off the guest blogging shall we? 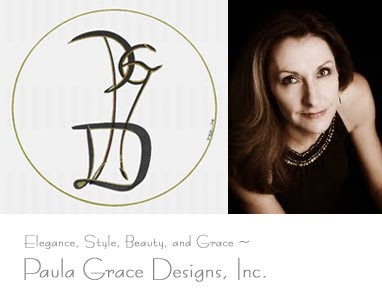 My very first guest blogger is Paula Grace of Paula Grace Designs, Inc. who, as her name implies, was gracious enough to share some expert tips.  I am very excited to be a guest blogger on Brooklyn Limestone. A big thank you to Stefanie! This is my first guest appearance anywhere and I’m thrilled to do it! I use to live in Brooklyn myself ~ Park Slope to be exact. That was back in my NYU days. When Stefanie and I spoke about my guest blog, we thought something educational would be great ~ education ~ love that! So today, I’ll be writing about a scary topic ~ furniture arranging. I say scary because folks often tell me they have no idea how to arrange furniture so they place everything against a wall. That may actually be fine if the room is small but there are ways to arrange furniture that can promote conversation, help create the feel in the room, provide balance, and add interest. Balance, scale, and mass ~ oh my! These are important principles and elements in furniture arranging. Balance – is equilibrium though symmetry (mirror images from a center point), asymmetry (optically varying items from a central point to achieve balance), or radial (equilibrium based on the circle). Scale – the entire perspective. The objective with scale is for objects to be alike or harmonious in dimensions or mass. Mass – is the actual or optical density of an object. The mass of a glass table will appear less than one of the same dimensions made of wood. This is known as optical density. Let’s look at and discuss some examples compliments of Metropolitan Home* (a huge inspirational source for me)…..
As you can see, this is a large room. Thus floating the furniture around the focal point (fireplace) to create an intimate conversation area is a great choice. The scale of the furniture is in line with the scale of the room ~ large, fully upholstered yet clean lined pieces. The upholstered pieces add visual weight (mass) to the grouping, anchoring it in this large scale room. The arrangement is symmetrical & asymmetrical (the white sofas are mirror images; the two arm chairs mirror the color and weight of the fireplace surround). There is also an asymmetrical arrangement in the corner for added interest. The feel in this room is formal comfort. What else can you see? This room may be a bit tricky to understand. Another large room but not as large scale as the last example. I suspect a long and lean room. The long sofa, paying homage to the length of the room, is against the wall. A grouping of similar scale chairs with exposed wood (to keep the space light and airy) and an ottoman arranged in a half moon are used to balance it. I’ll bet you anything there is one more chair in the grouping likely removed for picture taking purposes ~ no one wants to see the back of a chair unless it is stunning. The sofa mass is not balanced as shown. Two chairs on either side of the ottoman would provide better balance. Why? The sofa and cocktail table are quite long. Visualize standing behind the ottoman looking at the sofa, now look side to side. There are two chairs on your right and how many of your left? One as shown. The chair facing us does not have a partner. That would not feel or look quite right. This arrangement appears to be based on radial balance ~ balance based on a circle ~ a wonderfully interesting balance for creating conversation. To achieve wonderful radial balance here, another chair would ‘close the circle’ and provide the needed mass to more fully balance the sofa. This room feels serious due to the color palette but fluid due to the cocktail table’s unique shape and the ability to easily move chairs around to suit. Do you see more? Aaaahhhhh! The two seating arrangements room. We know that this room is somewhat large in scale to accommodate two furniture groupings. Using two is a wonderful way to create intimate conversation areas in a long room. The groupings themselves asymmetrically balance each other and allow access to everyone regardless of where they sit. This room has an informal air as the arrangements are not in the traditional sofa back to sofa back style; they are open to each other. If the farther arrangement were on its own, I would say the stools are not in scale with the sofa and cocktail table; they do not provide enough mass to balance. However, they are not there for that purpose; the other seating group provides the balance. The stools are strategically placed to not interfere with sight line, to allow folks sitting on them to participate in either grouping, and to be easily moved. Wonderful! In the closer arrangement, the two blue chairs are in scale with and provide the correct mass to achieve asymmetrical balance with the tête-à-tête (not mirror images but visual balance). Everyone can see each other, talk to each other. I love this room. It is full of asymmetrical balance which lends itself to great visual interest. It feels right but nothing is a mirror image. This room is primed for a party ~ fun! Did I miss anything? Of course I did ~ fill me in! Arranging furniture need not be scary ~ think about the art of conversation ~ being able to see and be close to each other. Think float to accommodate conversation if the room is large (but Paula Grace what about outlets for floating table lamps??). That is why space and furniture planning is critical when building. Put outlets in the floor. Bite the bullet and do it if the room calls for it, even if you have to fix the ceiling of a finished basement. You’ll be happy and no one will trip. Think balance, scale and mass as discussed. And plan, plan, plan even if you have existing furniture, plan; not in your head, on paper. Draw the room to scale, measure your furniture if you have it, think about the art if conversation (or whatever you plan on doing in that room) and plan ~ before you purchase. Plan. Did I mention plan? I hope you enjoyed this post. I certainly enjoyed being Stefanie’s guest. She is the perfect host! Thanks so much to Paula and please stop by her blog to hear more. I definitely learned something (although I am still too chicken to cut holes in my floor for outlets, it is a great idea). I feel so good about the floor outlets!! Yeh, I did something right!! I loved this post. The images were perfect to illustrate her points. What a great guest blogger!! Great advice. I would say that that last arrangement, with two seating areas, is always the most difficult to acheive. From a non-expert it's intimidating to even start to acheive because I feel like it's difficult to acheive the cohesion and flow that you need. This was really helpful! I wish I'd planned our living room better before buying furniture. I love that Frank Roop room (the last one) and used it in a post a while ago: http://journeychic.com/2009/07/30/design-candy-frank-roop/. His colors schemes are perfection! I'm sorry, but I can't read that much turquoise text. Would you reconsider for future guest posts? Wonderful post! Thanks, and I adore floor outlets...so great for eliminating cords that someone will eventually trip on! Great post, Paula - and yes, very educational!! Great post, Paula. What about small, spaces. Like in a an apartment. Any suggestions? To Small apt. Make sure the furniture is in scale to the room you're putting it in. Think about how you need the room to function and draw it out. In small spaces, furniture is often placed against the walls because it is already cozy and there needs to be ample room for traffic flow. If there is limited room for accent tables, use a coffee table vs. an ottoman. You can still put your feet up but it will make having a food and drink in the room much easier. With that said, consider a glass top coffee table that has the appearance of less mass. It will keep small spaces open and airy. Hope that helps. What a great post- I always love reading how designers look at rooms. I learned quite a bit here, thank you! Thank you so much for this wonderful post. My living room is actually set up with the two seating area arrangement (almost exactly like your last picture). It took me forever to figure this out - it's a long living room and I think I had every piece of furniture in every possible spot in that room before I could make it work. And it really does work perfectly for the exact reason you said - any person sitting in any seat can see and chat with anyone sitting anywhere else. No awkward neck turning or conversations with someone you can't even see. We will be redoing our floors in the next couple years and I've been going back and forth about putting outlets in the floor -I'm still undecided. Thank you again - so helpful! Hello Lover ~ do you plan on floating any furniture such that potable lamps will need to be in away from the walls? If yes, then the floor outlets are essential especially if you are redoing the floors and have the opportunity to do them. Great post, Paula Grace! I especially loved the last room you featured and your notations -- very helpful in thinking and planning! LOVE LOVE LOVE THIS!!! I can tell Paula Grace Designs not only knows what shes doing, but KNOWs how to do it! I loved this out of the ordinary blog. Good idea about this post - very often clients are hesitating if they really need a professional interior designer's advice for such things. This was informative and fun. Plus I found a new blogger to add to my list. Thanks Mrs. Limestone and Paula. GREAT post! This makes so much sense. Thank you!